Hunter Pro-C is one of the most popular and advanced irrigation systems preferred by professionals and amateurs.! Hunter Pro-C is one of the most popular and advanced irrigation systems preferred by professionals and amateurs. 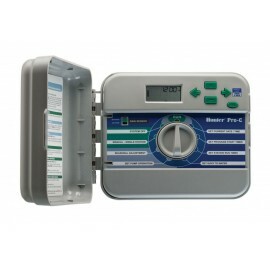 Hunter Pro-C is a professional automatic irrigation system controller used in commercial greenhouses. In addition to the traditional quality and reliability of Hunter products, this updated controller has a number of useful features. 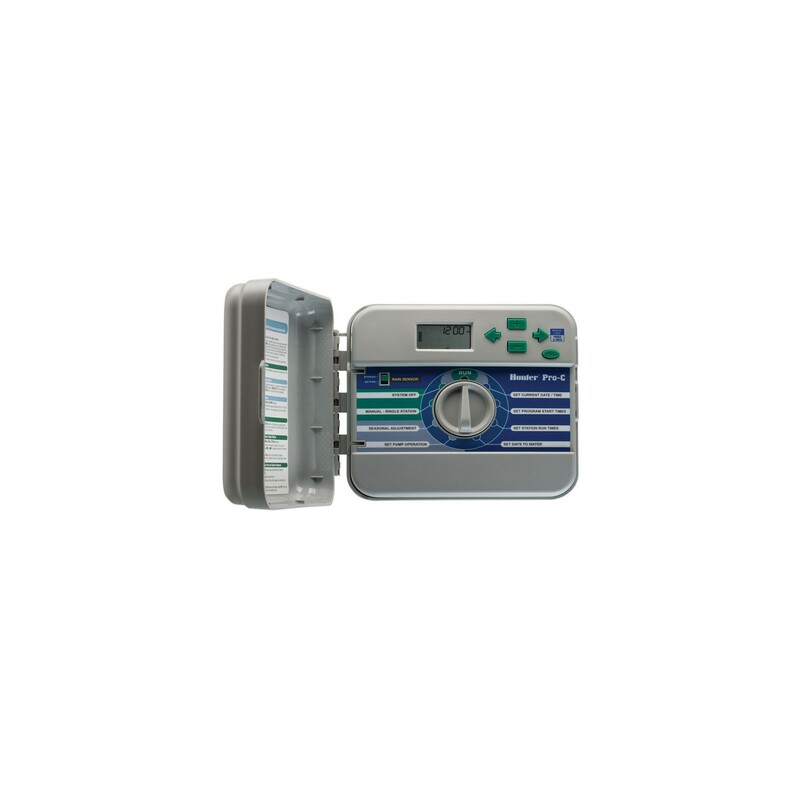 Waterproof-cased control unit Hunter Pro-C is not just an operation board with huge number of functions and controlling possibilities, but also the most reliable and easy-to-use solution according to experts. Hunter Pro-C irrigation control system allows you to change at any time the number of irrigation areas to be under control (from 3 to 15) just by the way of installing additional expansion modules. main valve configuration mode. This valve is required to protect large systems against water hammer. In case of a power cut all the settings will be saved and after the power supply is restored irrigation will go on in the previously set mode. operating temperature is from -17 up to 65 C°. The device has weatherproof case. Pro-C control unit has also a possibility to control lightning system. Additionally installed option allows you to manage three transformers of the lighting system using 3 new programs (L1, L2, L3). Both lightning program and automatic irrigation program are easily adjustable through the Pro-C control unit. Automatic irrigation systems Hunter can be found in greenhouses, private premises, landscaped parks, and plant nurseries - wherever the irrigation quality is given special attention.